If we had any wall space on our little house, I might consider it, but perhaps this belongs in one of your homes. 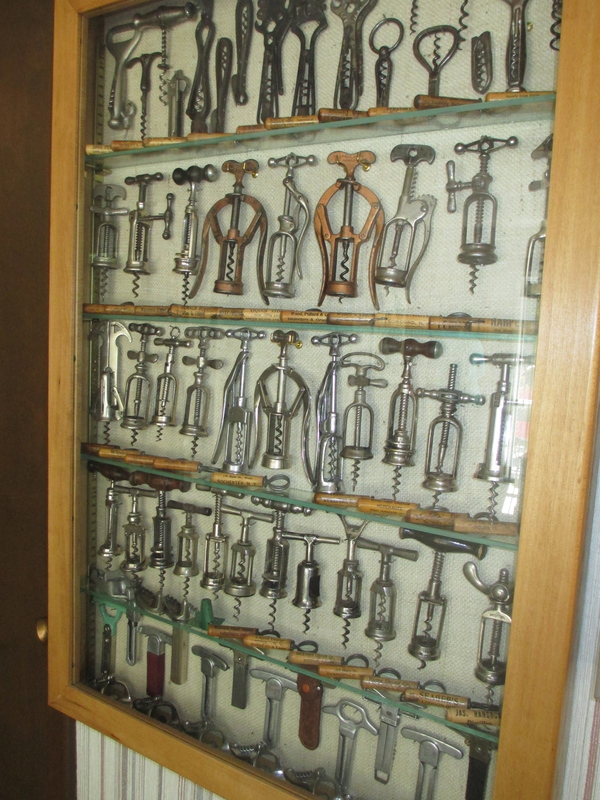 It would make a rather grand statement being surrounded by a collection of Thomason corkscrews! 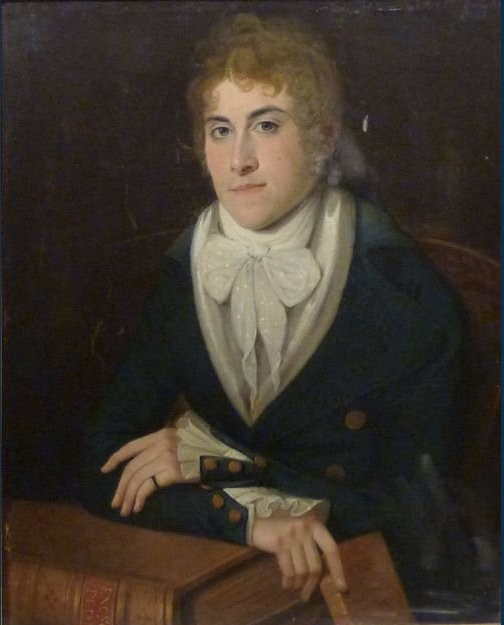 If you are interested, here is a link to the Thomason portrait. 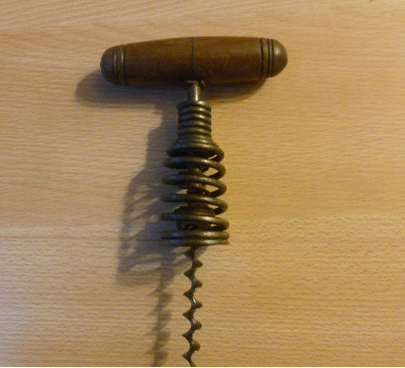 It seems that every once in a while, a German spring corkscrew will turn up online. 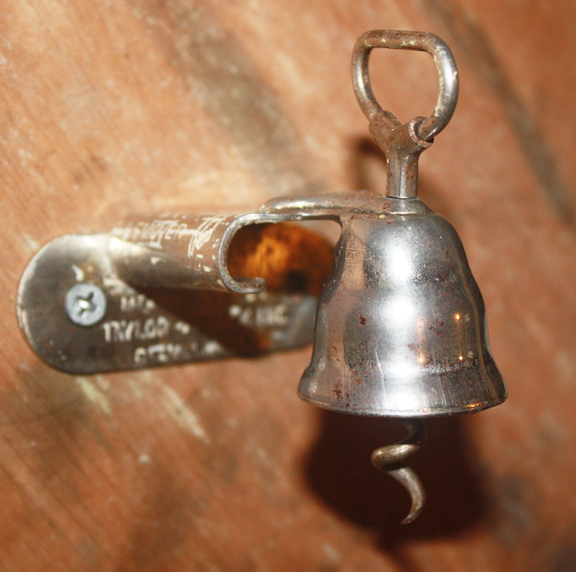 And while some are more common than others, there are very different mechanisms that still involve a spring barrel. 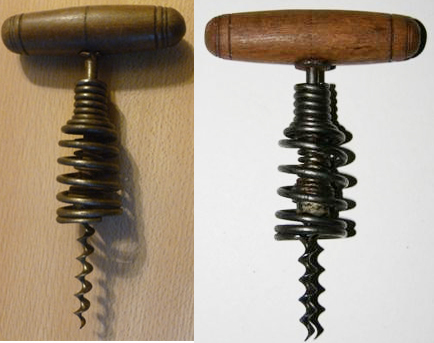 Looking closely at these seemingly common corkscrews, one may notice that there are indeed differences that separate the common from the decidedly less than common. 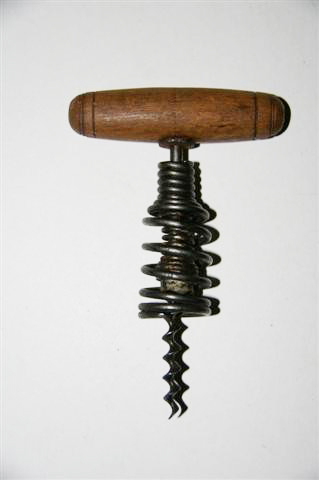 And, yesterday a German spring corkscrew was made available online, for a very fair price. From the pictures however, it was difficult to make out if it was of the common variety, or the less than common variety. It looked as there might be more to the corkscrew than the photo actually showed. So, with a little photoshop to brighten the image that was provided, it began to reveal that inside the spring there was another mechanism. I wasn’t sure exactly what German corkscrew this was, but it definitely was worth taking a chance. I agreed to the price, and promptly paid for the item. And, then I set about perusing Ferd Peter’s Mechanical book, Ferd Peter’s book on German Registrations, and anything else that might show a similar corkscrew. There was something close on page 88 of Ferd’s Mechanical book, but the handle was different. Then it occurred to me, why not check the past successful listings on the ICCAuction site. After wading through the various German corkscrews, I came across a listing with pictures that definitely comes close. 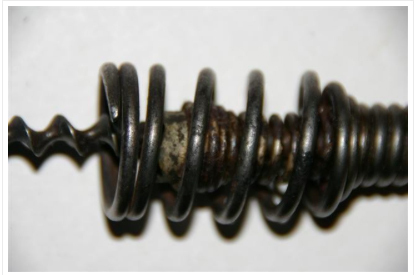 I went back to the images from the corkscrew being offered and compared closely. It will take some time for the German mystery to arrive, but I am pretty sure that it is indeed a Carl Ulrich 1898 German Registration! A nice addition to the German spring corkscrew collection! 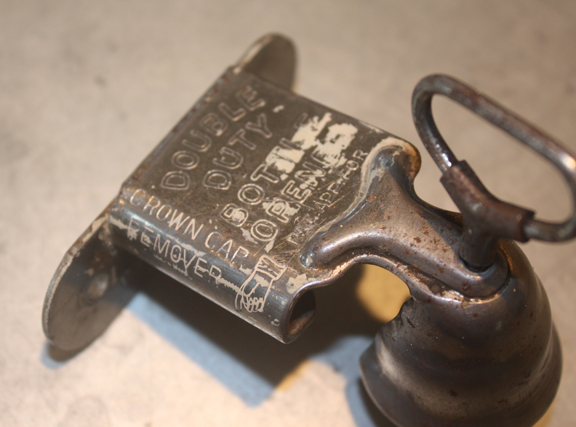 Last month, two corkscrew auction lots came available from an auction company in Philadelphia. And, knowing that the auction would get much interest, a couple of the usual suspects exchanged emails and decided to go in together to acquire the collections. And, handsome collections they were. 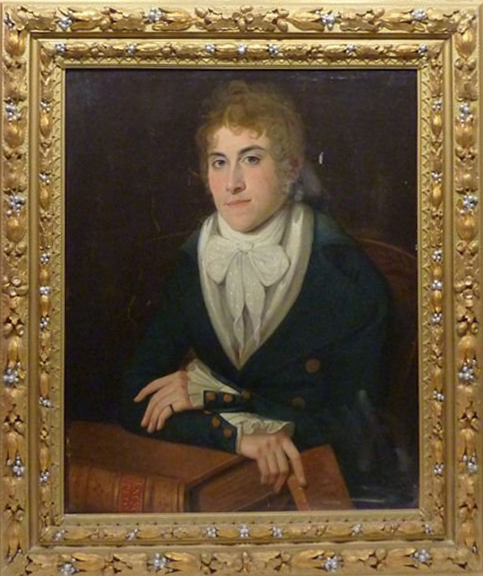 On Saturday the auctions were to take place, and while I as off island, RL was assigned online bidding duties. With our top bids decided upon, the bids were placed, but we were outbid on both lots!!! Rather frustrating, but we didn’t want to exceed our price on each lot. Perhaps we will be successful next time. 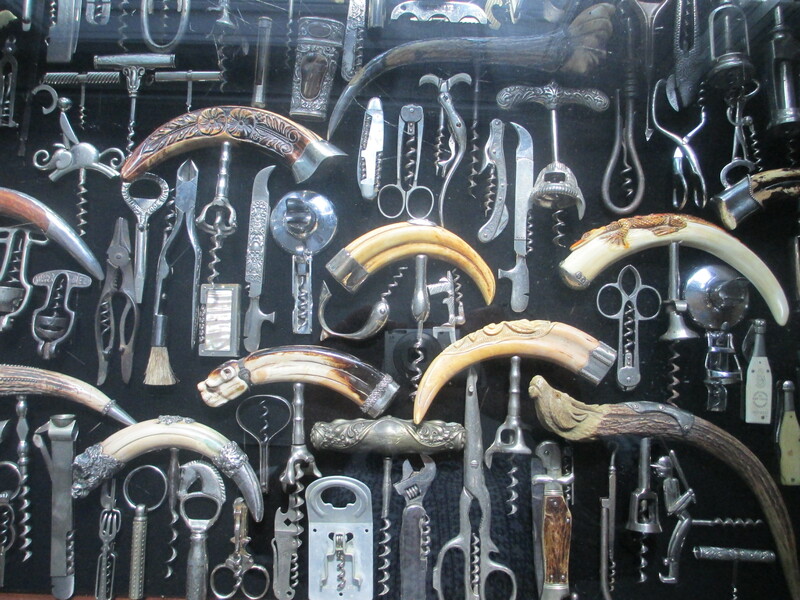 One of the lots was especially interesting as it had multiple Thomasons, several pairs of ladies legs–one of which is mother of pearl, and a few other interesting corkscrews. And, then yesterday, I received an interesting email asking if I would be willing to take shipment of that very same lot on behalf of PB. Since he had to foot the bill for the lot, and knowing what that lot cost, I figured… Why not ask if he wanted to share. I offered to go in with him, and he has since agreed. 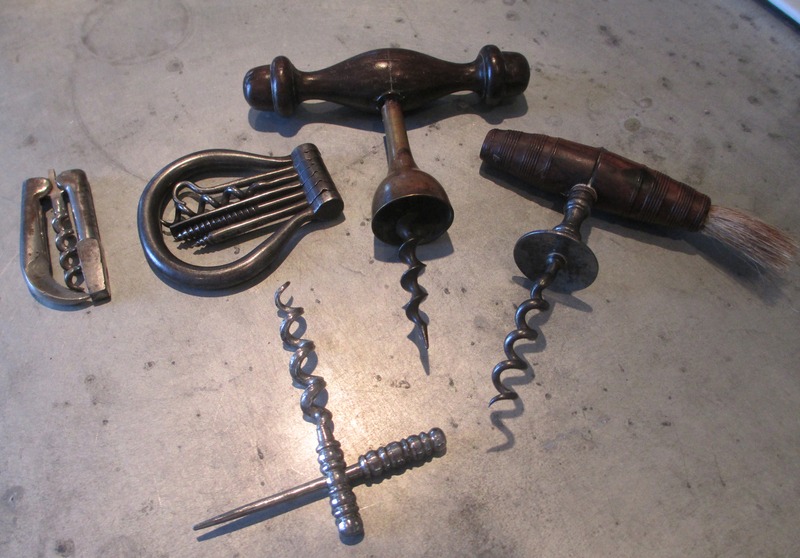 So, at least a few of the corkscrews pictured below will be heading to the island. Actually, all of the corkscrews pictured below will be heading to the island, but only a few will remain with the rest being shipped to the UK. Nice lot Petey, and thanks for sharing the love! Anytime I see beer advertising on corkscrews, I try to pick them up, as they have potential as tradebait for Tipped Worm Johnny and the other folk at the JFO. And, yesterday, I grabbed a couple of nice ones. In the corkscrew world, these may not be that exciting as they are simple Walker and Williamson corkscrews. 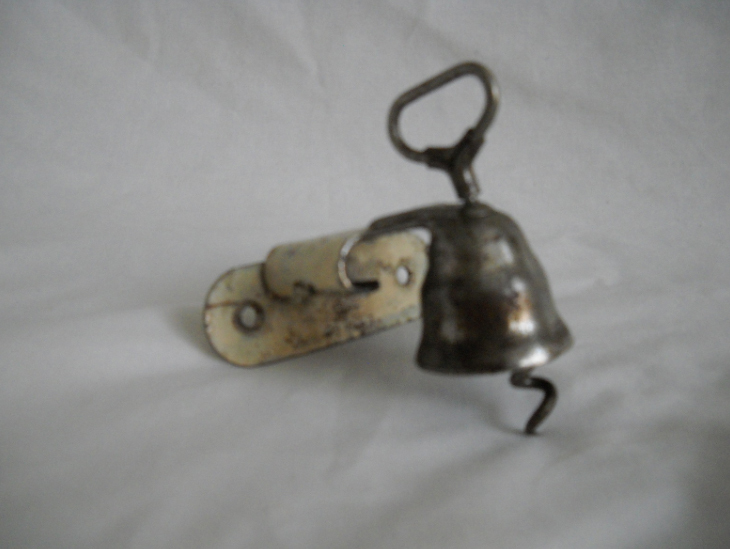 In the JFO world, it is all about the beer advertisement that these corkscrews (or openers) carry, and what is a simple Walker, for example, takes on a whole new significance if that particular brewery doesn’t turn up regularly. And, this pair looks to be pretty cool, with the advertising in really good shape. These will be thrown (placed gently) onto TWJ’s tradebait pile, and we shall see what happens at the meeting in April–unless he finds something for me first and a trade gets done sooner. A non-corkscrew note, the San Francisco Giants clinched the NL West last night. Go Giants! 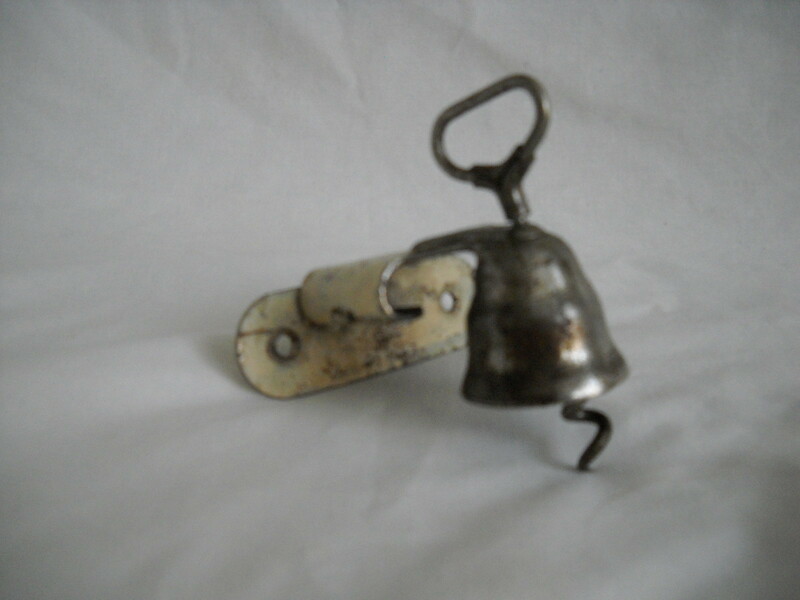 A while back, there was an interesting corkscrew listed on eBay with the title “Vintage wall mount, corkscrew and bottle opener.” The picture did show a corkscrew, but it looked a little odd, and I am sure that contributed to the lack of bidding. During the ICCA Meeting, the auction was set to end and with 7 minutes to go, I had been outbid…at $ 12.50. Of course, knowing that we would be in the midst of corkscrewing around Chicago, I had set a snipe bid. And, as fortune would have it, as the time ran down, auctionsniper did its job, and I won the corkscrew for nice price (about 40 bucks) Significantly less than my snipe, and after looking again at the listing came to realize there were only two bidders. The picture wasn’t that bad… Why did this one sneak through? The wall mount corkscrew arrived yesterday, and while it needs to have some of the old paint removed from it. 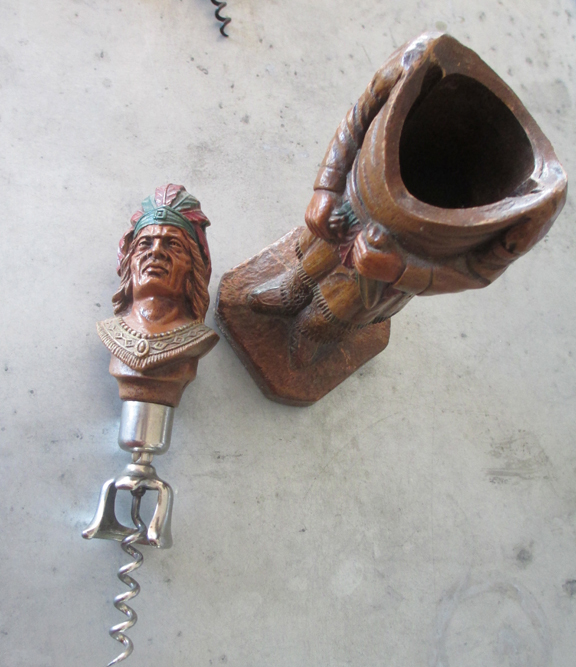 It is a pretty interesting corkscrew. And, actually quite well made. And, it has the manufacturer’s information as well with, “MFRD. 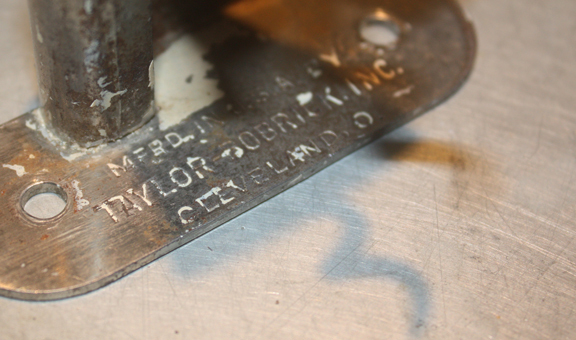 IN USA BY TAYLOR-BOBRICK, INC. CLEVELAND, O” across the bottom of the opener. A nice addition to the Corkscrew Patent Wannabe collection! For those that didn’t get to attend the CCCC meeting in Dearborn this month, Barry, John, Bert, and I put together a display of Detroit, Davis, and Puddefoot corkscrews together for viewing at the opening night’s festivities. 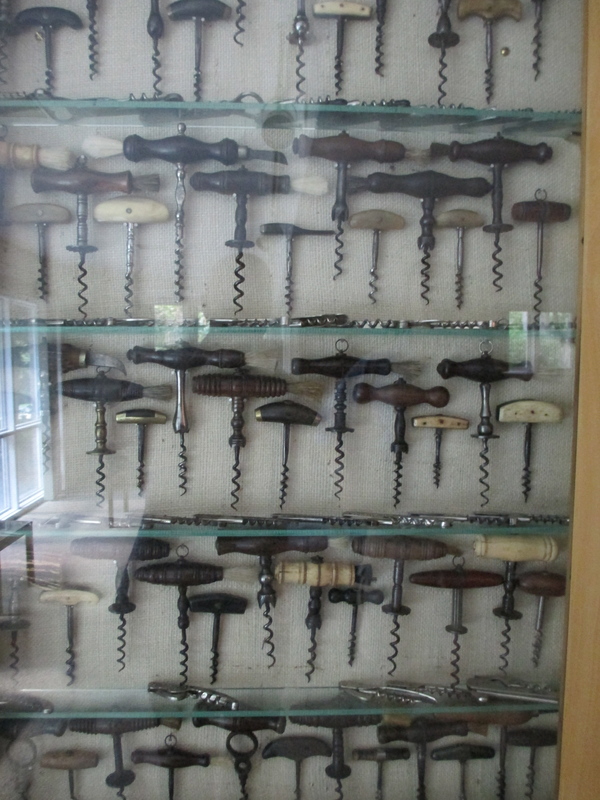 To accompany the display, I had put together a short article about the Detroit Cork Screw Company, and figured why not put it online as well. So, for those of you that are so inclined, check out the new Detroit Corkscrew page! And, if you have a Detroit, Davis, or Puddefoot that you would like to part with, please drop me a line. Instead of packing up corkscrews in my suitcase for the trip back from Chicago, I decided to pack them into priority boxes, and ship them insured back to the island. And, they arrived–safely–yesterday, and this afternoon I went about unpacking the boxes and putting the corkscrews away. 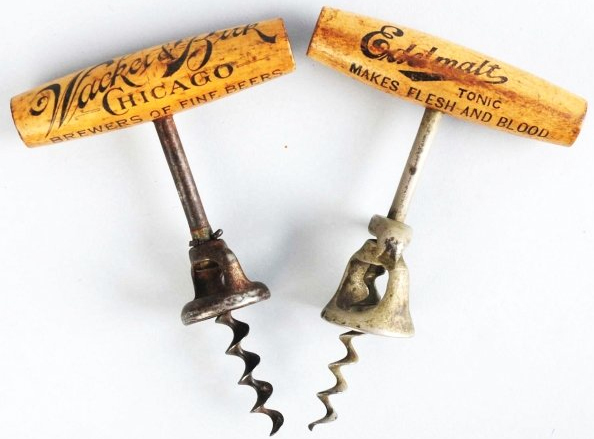 While a few corkscrews that were in Chicago, did find their way into other Addicts’ collections, I did manage to pick up a couple for myself as well. I did miss out on Mark’s folding Hicks and Reynolds–hopefully I will manage to find one eventually. That said, I did pick up a 5 tool bow, a nice peg and worm, an interesting German folding corkscrew, an unmarked Henshall with a concave button, and a Griswold patent over the course of the two meetings. And, I may have a deal for a Jopson patent. This is still in the works, and the price is a little high for me. Hopefully with a little negotiating–and a couple of Guinnesses–we can get the price down a bit. Also, the Syroco Indian arrived the other day, and if any of you are looking for one, I will put him on the trading block! Back from the ICCA AGM!!! The lovely and I got back from Chicago yesterday, and are enjoying the feeling of Fall in the air. It is one of our favorite times of year on the island (and in New England in general), and while the meetings were fantastic, it is good to be home. And, so it is back to corkscrewing around the island, and preparing for our next adventures. There really is too much to share with regards to what happened at the AGM, but perhaps a few pictures will help in telling the story. Right’s Reception, where Maurice opened the meeting by opening a bottle of wine. Tommy gets introduced as a new Addict, and congratulated by Sue–this was followed by dinner featuring a Chicago-style Screw Off–utilizing nifties as our weapon of choice. The next morning, Don presents “The Incomplete Corkscrew Story” followed by an architectural cruise on the river. This followed by an evening of Chicago blues music and dinner at the House of Blues. The next morning was the buy and sell, a presentation on Newly Discovered American Patents by John Morris–where 70+ newly discovered patents were present and available for viewing, handling, and drooling over. An afternoon auction, and dinner at Smith and Wollensky–where another impromptu auction was met with an enthusiastic response. The following day started with a presentation on the Devil in the White City, and shortly we boarded busses to tour the city, and the cite of the 1893 World’s Fair. After the tour, we found ourselves in front of “the Bean” for a group photo. Later that evening, we were at the historic Drake Hotel for our annual gala event. The punch was fantastic! A hiccup in the planning occurred when our Bus to and from the gala failed to show up, but with some creative thinking from our bellman at the Monaco, we shortly were piling into limousines! Several attendees remarked, perhaps this is how we should travel all the time!!! A really fun few days, and it was great spending time with all the addicts and go-withs!!! See you next year in Belgium!!!! Wow, it has been a fast fun-filled few days! I will upload photos in the days to follow, but the meeting definitely was a good time. 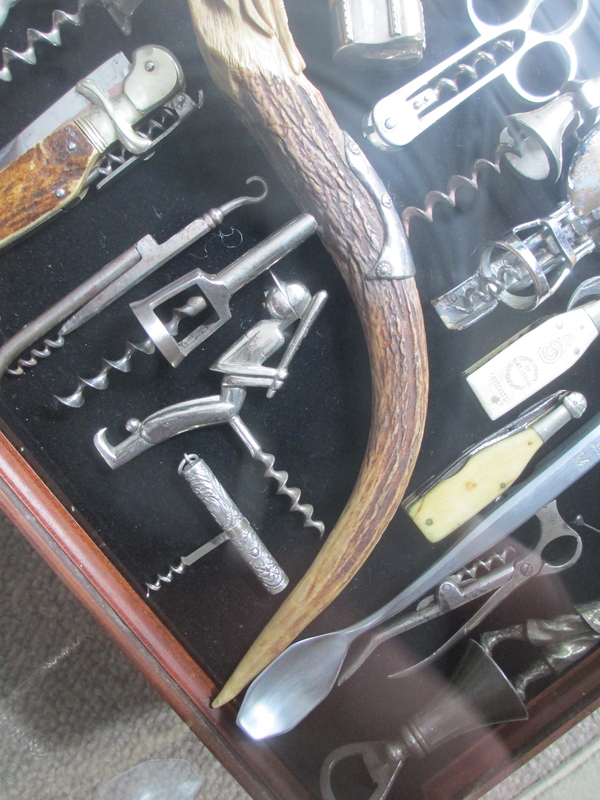 With presentations from Don Bull and John Morris on Chicago Corkscrews and New Patent Discoveries, buying and selling, trading, auctions, a display of corkscrews, and some impromptu show and tells, there have been tons of corkscrews!!! And, of course, it was great to introduce Tommy to the club! He and Dave Dakers are the newest Addicts, and they are great additions to the ICCA! On another corkscrew note; I did pick up this rare Pat. Pending wall mount corkscrew (online) in between the ICCA events. It should be waiting for me at the post office box when we get home! The CCCC AGM was fantastic, with a visit to The Henry Ford Museum, lovely accommodations at the Dearborn Inn, the hospitality of our hosts; Barry and Marty Taylor, and of course the conviviality of our longtime friends and fellow members of the club. 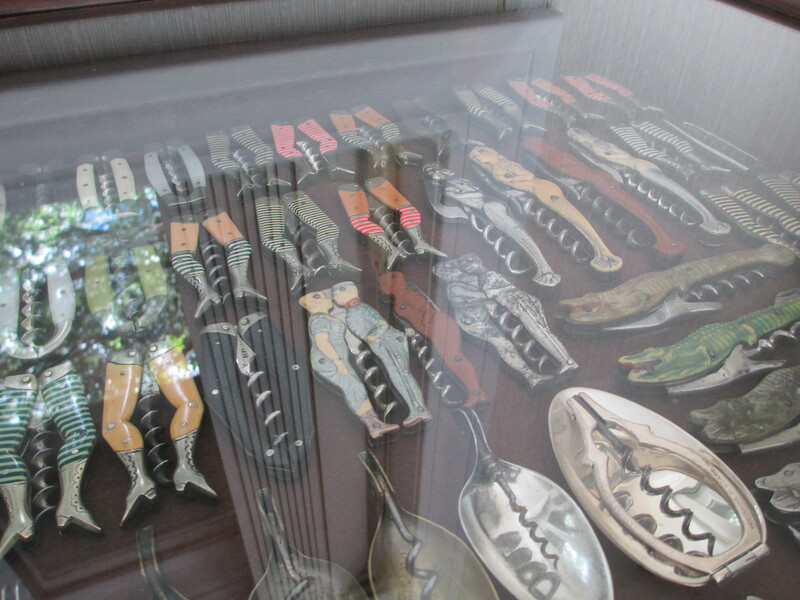 Of course, the highlight of the meeting, was getting to go to Barry and Marty’s house, and see the corkscrew collection. 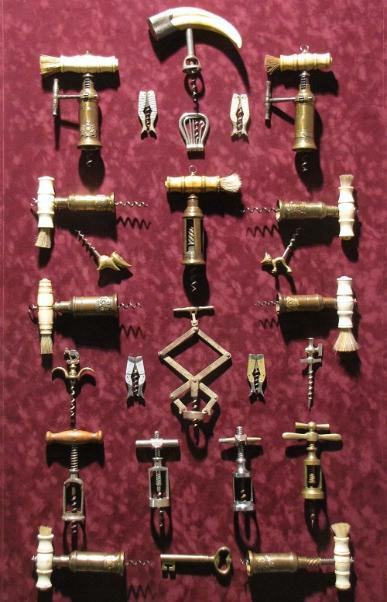 It is truly amazing and a testament to his passion for corkscrews, and diligent searching. The pictures won’t do it justice, but you might want to look anyway. And, that is only a small portion!!! Of course, we are now in Chicago!!! And, as of 3:00 today we will begin registration for the ICCA AGM!! !